UPDATE: Glaces will be stocked in Violet Mallow and Cherry Cordial only at this time. The other glaces and more of Violet Mallow and Cherry Cordial will occur in the near future, likely next weekend or the following week. Other products in Violet Mallow and Cherry Cordial are indicated below. 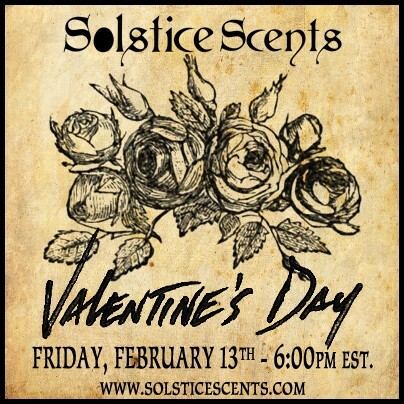 The Solstice Scents Valentine's release will take place on Friday, February 13th at 6 pm EST. We will also be offering a few restocked perfumes and LAST CHANCE DISCONTINUED FRAGRANCES. We are hoping to make some room in our catalog for several planned new General Catalog fragrances. Any scents that will be re-envisioned are indicated below. Bath and Body Products will be offered in limited quantities for the Valentine's AND discontinued offerings and will not be restocked. As many of you are already aware, we are cutting back on non-perfume products and focusing primarily on our perfumes as we move forward this year. When non-perfume products are offered, they will be in limited quantites and will often not be restocked beyond the start of a collection. We are also working on product development to offer several of our perfumes in EDP spray format, for those who would prefer a "spray and go" option in lieu of the roller ball perfume oils. The sprays also make an excellent layering tool to prolong the longevity of your fragrance. If you'd like to join our private community group on Facebook, we post much more informally here than on the Solstice Scents business page: https://www.facebook.com/groups/732218350204527/ It's fun here! A medley of black cherries and maraschino cherries enrobed in milk and dark chocolate. Cocoa absolute is added to the perfume to enhance the rich chocolate note. The blend starts out with a heavier cherry note but quickly settles down into a very nice gourmand blend of both chocolate and cherry. Juicy, sweet and edible smelling! Rose Leather is a fresh, bright blend of rose and crisp leather. It is loaded with real Moroccan and Bulgarian rose absolutes and a special fragrance blend with an emphasis on fresh leather. The rose smells like a combination of young tea roses, voluptuous red roses and a faint trace of dried rose petals. A light green top note of leaves and thorns accompanies the rose melange on application. The roses are in the foreground of this fragrance, but they lay scattered atop a smooth black leather. The leather and rose combination translates into a surprisingly bright, fresh and lively fragrance. This rose is not bogged down by a heavy leather, it is elevated on a leather pedestal. While this bold and slightly edgy rose fragrance does contain synthetic fragrance oils, it also has a large amount of natural rose oil. If you are familiar with pure rose absolute, you will detect it here. The high quantity of natural oils in this fragrance means that the staying power is not as long as its synthetic counterparts but using real rose produces a superior effect to relying heavily on synthetic rose notes. To enhance the staying power, apply to well moisturized skin and Rose Leather will remain strong for an hour before it begins to settle into a more intimate embrace with your skin. The leather becomes more apparent at this stage. A delicate and beautiful rose will remain with a mild leather beyond the bolder first hour of wear. For the first 20 minutes of wear, the rose is the dominant note. After this point, the leather slowly begins to peak out and will continue to emerge as the rose softens. PERFUME SAMPLES: The Valentine's scents can be purchased as a part of our 5 or 10 pack sample set. There will not be a specific sample set for these 3 perfumes. http://www.solsticescents.com/PERFUME-SAMPLES_c_20.html They will be listed on the free sample drop down menu at checkout as well. OTHER RESTOCKS: Though not part of the Valentine's Day collection, there are a few fragrances from previous Valentine's releases that will be restocked along with the release tomorrow that may be of interest. These are a part of our General Catalog, though the body products indicated are not often offered. BLACK LEATHER, RED LACE: Perfume. HEART OF THE NIGHT: Premium 5 ml Perfume. Also check out our Cocoa Absolute Premium 5 ml Perfume that is currently in stock. It is great for layering and adding an extra dose of natural chocolate to any of our scents containing chocolate. Black Forest and Cherry Vanilla Amberosia are two other fragrances that were previously offered for Valentine's Day, but are a part of our General Catalog, that you may wish to take a look at. Smokewood Apiary Perfume and Foxcroft Fairgrounds Perfumes will also be restocked. General Catalog perfumes that are currently out of stock and not mentioned above will be reviewed and restocked as soon as possible after the V-Day orders have shipped. AMBER: Perfume. 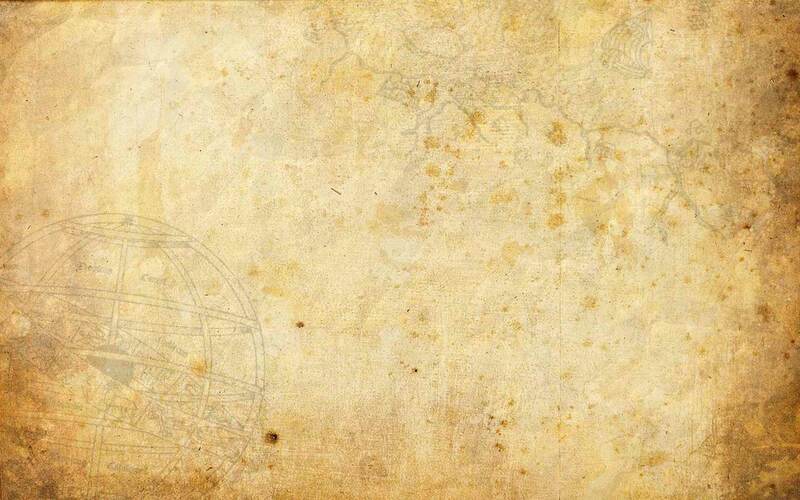 There will be an amber-heavy and amber focused perfume in the future. It will not smell the same as this amber single note, however. COCOA MALLOW: Perfume, Ganache. There will be a new interpretation of a chocolate marshmallow blend to replace Cocoa Mallow in the future. DRAGON'S BLOOD: Perfume. This scent will not be returning in any format. NAG CHAMPA: Perfume. This scent will not be returning in any format. PATCHOULI SWEET WOOD: Perfume. There will be a patchouli, vanilla, vetiver blend in the future though it will be different and will not carry the same name. LOGGIA: Perfume. This fragrance will not be returning in its current form. If Loggia returns, it will be in name only and the scent will be completely re-envisioned with different notes.